A Treasure and a Wonderful Remembrance. The Portuguese Californians is designed as a 330 page hard-cover book printed in color on high quality paper, 9″x 12″ format, luxury limited edition, profusely illustrated with many photographs, tables and graphics, to record the enormous feat accomplished by the unchallenged leaders of a major industry. The first part of this publication is a “revisitation” of Dr. Graves’ 1977 dissertation with a re-write for a general audience, with improved graphics and many photographs of historical importance. The second part is a thorough assessment of Portuguese involvement in California agriculture at the turn of the 21st Century. The book includes a detailed counting and locating of all Portuguese in California in 1860 and 1880, using the original, handwritten, unpublished censuses of population for the entire state of California and unpublished membership lists of Portuguese fraternal lodges in order to determine the settlement patterns. After 1930, accurate location data were no longer available from the census bureau. The result of this research was an in-depth analysis of the Portuguese involvement in dairying in California. 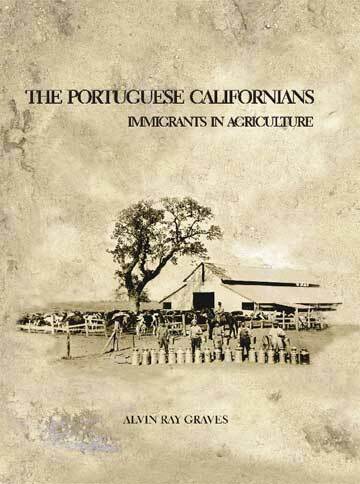 Dr. Graves’ interest in the Portuguese in California and dairying is quite unique. When he first moved to Riverdale in 1962 as a junior in high school, he had never met a Portuguese person. Over the years, he talked frequently with the grandfather and uncles of his future wife about their life history and experiences. The Avôs were from Terceira (S. Bárbara). In 1972, Dr. Graves visited Terceira and conducted more of his research at the Angra Archives/Library. Dr. Graves and his wife Barbara have 5 children and 3 grandchildren. He has worked in the investment advisory, university development and farm management fields, but has always maintained an intense personal interest in the Portuguese community in California.